For generations the men of the islands worked in tree tops on a lattice of bamboo to collect the nectar from coconut flowers. Using secrets kept within families, the nectar is fermented and distilled to produce a spirit uniquely Pacific. Cut the watermelon into cubes discarding the rind. Fill you jar with cubes. Pour in Papo J’s to fill the open spaces. Keep mixture in the refrigerator and allow to infuse for up to one week tasting daily until you get the desired flavor. Strain the infusion through a coffee filter or cheese cloth into a clean bottle. Cap the bottle and store in the refrigerator. Equal parts Papo J’s, Campari, and Sweet Vermouth. Put all ingredients in a mixing glass with ice and stir. Pour into glass with ice. Sit in a circle with new and old friends. Fill cups of the person next to you with Papo J’s. Tell stories; garnish with lies and sip from cups. Muddle lime with cucumber. Place the rest of the ingredients in a shaker with ice and shake. Pour over ice in a glass. Kosher salt Lime wedges Run a lime along the rim of a glass and dip the rim into dish of kosher salt. Drop some ice into the glass. Fill a shaker with ice. Pour in Papo J’s, lime juice, Grand Marnier, and syrup. Shake well then strain into salt rimmed glass. Garnish with lime wedge and serve it up. Keep the night going with Papo and Coffee. Pour Papo J’s, coconut water, and cold brew coffee into the pint glass. Fill with ice and stir. Serve. 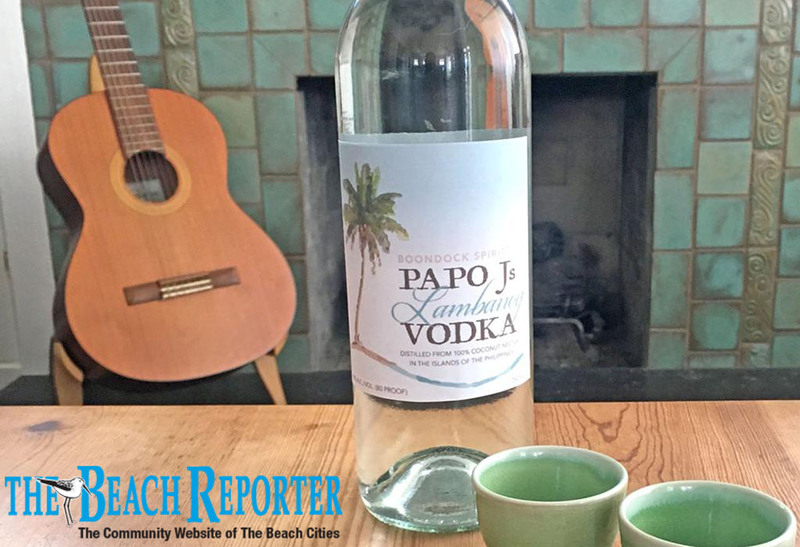 For generations, nectar of coconut flowers have been used in the Philippines to create a brand of “moonshine.” Redondo Beach’s David Osmena and two friends started Papo J’s Lambanog Vodka to bring that tradition to the United States. © Papo J's Lambanog Vodka 2018.